Spring has sprung! Is there a soul who doesn’t welcome this season with both arms wide open? I think not. There’s something about warmer, longer days, and blossoms all around that just puts you in a good mood. And Easter is right around the corner! Growing up my family had some fun Easter traditions. We loved decorating Easter eggs and hunting for treats that the good Ol’ Easter Bunny would leave for us. 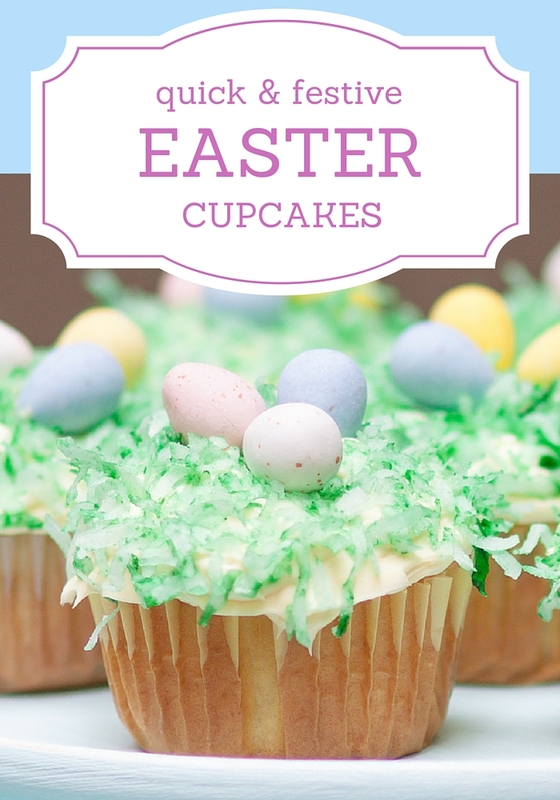 We would make and decorate festive Easter cupcakes too! 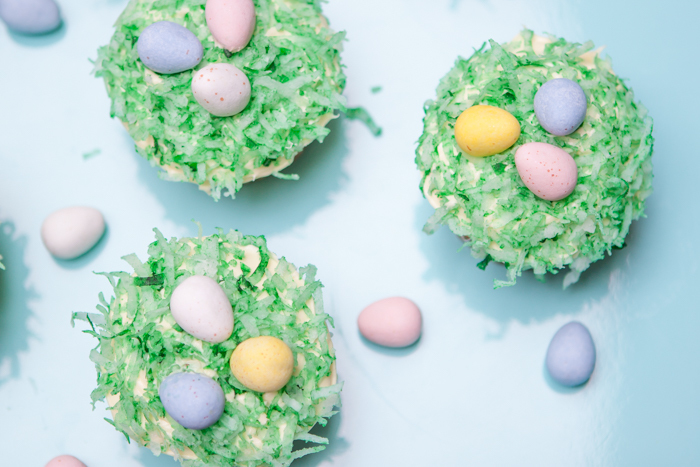 Everyone loves decorating Easter eggs, but how about decorating cupcakes? I’ll tell you, it is even more fun, and way tastier to eat! There’s no denying that! 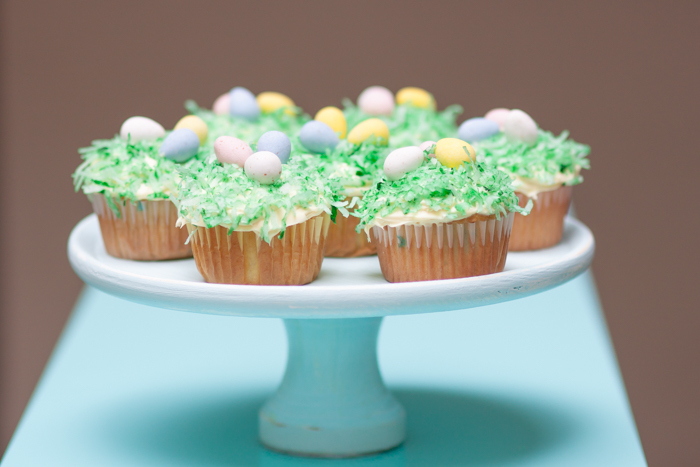 This week I decided to “spring” back in time to my childhood Easters and recreate a cupcake that my mom made with us as children. I headed to Walmart and was greeted by the long-awaited Easter candy . Let me be honest, I wait all year for these fantastic egg-shaped treats. Why do these candies taste so much better in egg-form? I got a few packs of our favorite candies and headed to the baking aisle where I picked up a box of Pillsbury™ Spring Funfetti® Cake Mix, and some Pillsbury™ Spring Funfetti® Vanilla Frosting. My family and I had so much fun baking and decorating these cupcakes. They were so easy to make, you really can’t mess them up! I also love how economical they are. 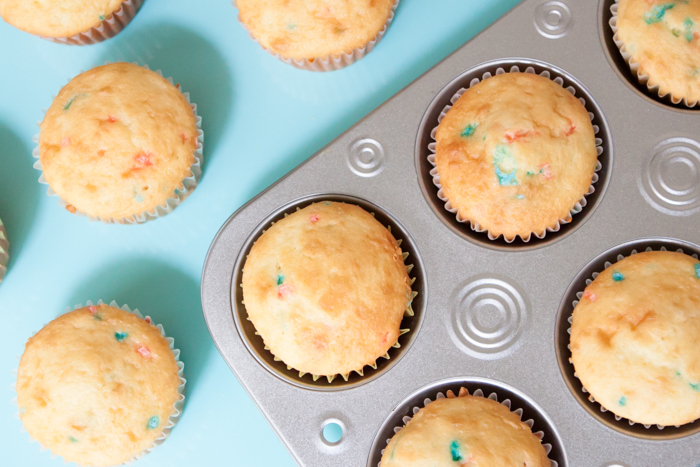 You can make about two-dozen deliciously frosted, home-baked cupcakes for around two bucks! Yes please! We topped our cupcakes with Pillsbury’s yummy frosting. Then I used food coloring to make “grass” out of coconut. Then to top it off, some yummy chocolate Easter eggs. Although we had fun making the cupcakes, the funnest part was eating them! 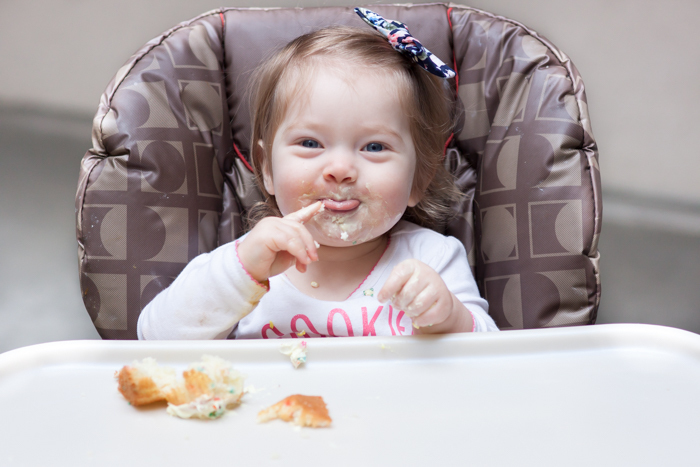 My one-year old daughter especially loved digging into her cupcake! 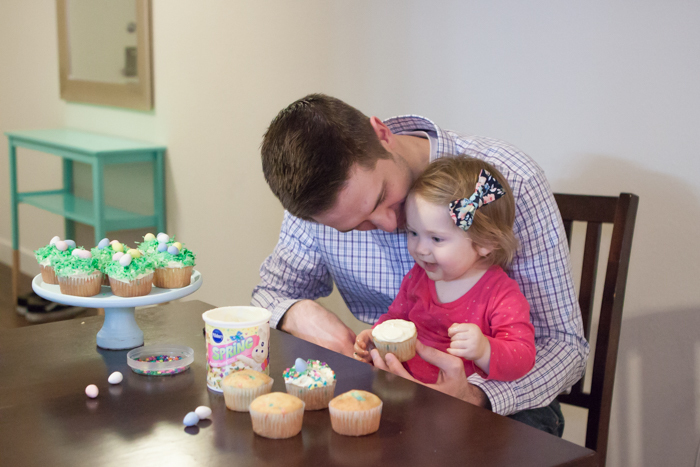 There’s no “happy” like a toddler with a cupcake “happy.” Am I right? I ended up with so many leftover cupcakes that I just couldn’t help but share them with friends. I ended up throwing an impromptu tea party the next day. We all enjoyed delicious, festive cupcakes and great company together. 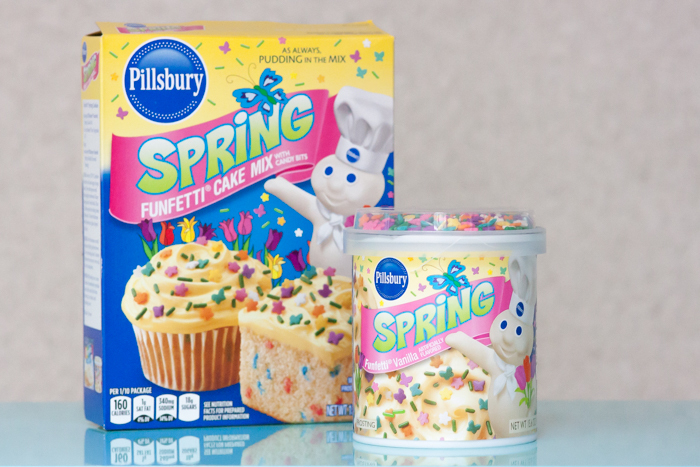 Pillsbury helped me mix up some yummy treats and some fun memories with my family and friends this Spring. 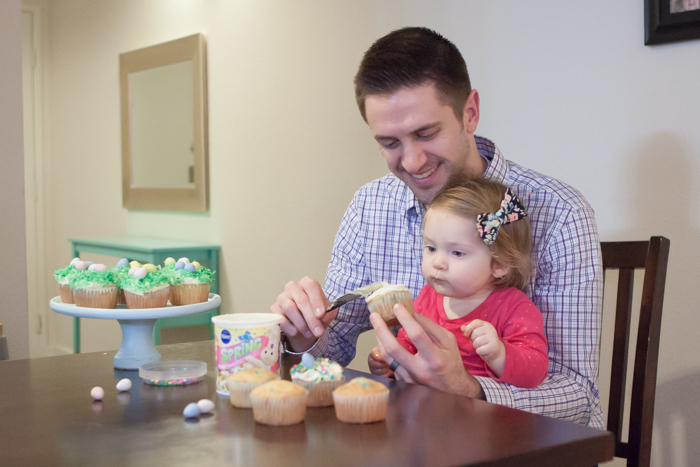 How will you #MixUpAMoment” with Pillsbury this Easter? 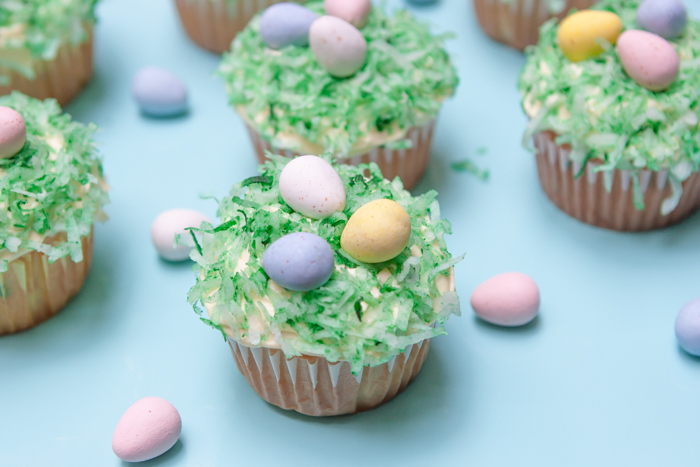 Comment below with your fun Easter traditions and cupcake ideas and get your Pillsbury coupon here!